No finishes in the last two weeks because I spent a week traveling, including to the Kansas City Regional Quilt Festival. 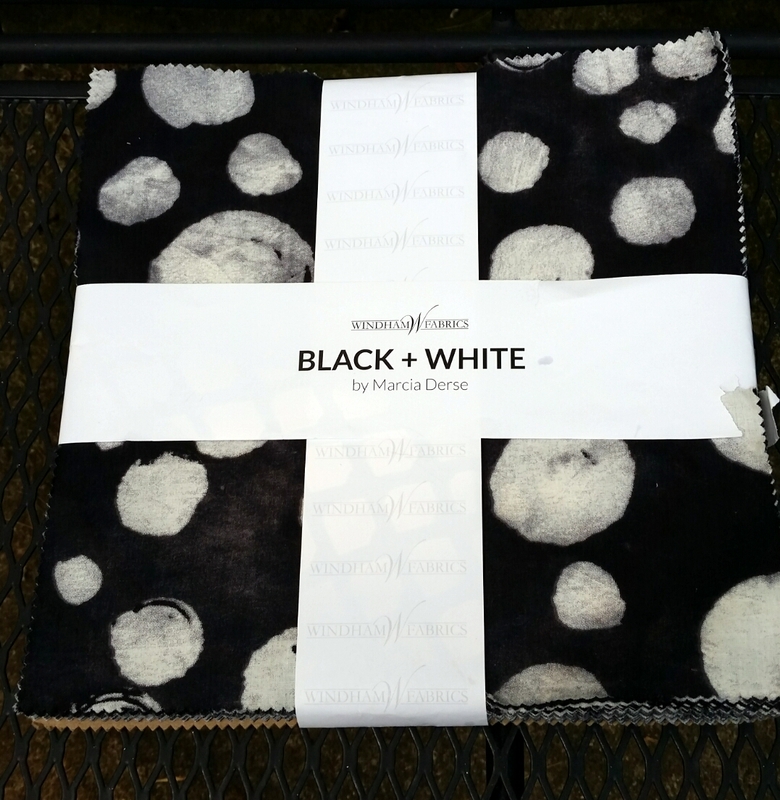 Yes, I bought thirteen yards of fabric, but can anyone blame me? 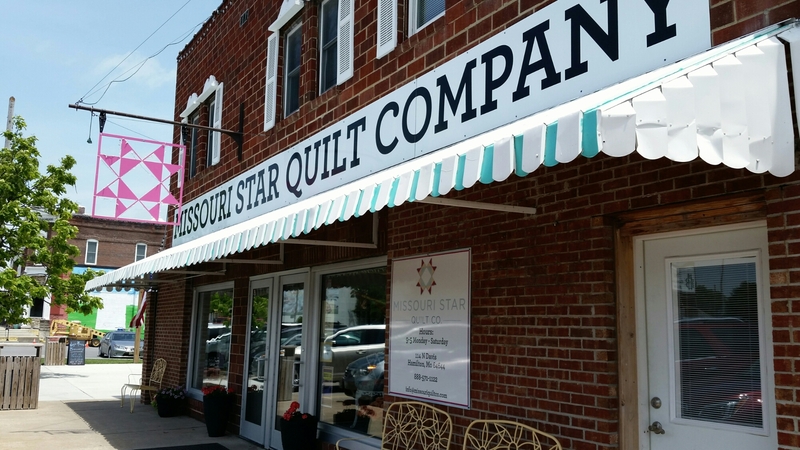 I was in Fabric Mecca, otherwise know as Hamilton, MO, home of the Missouri Star Quilt Company. 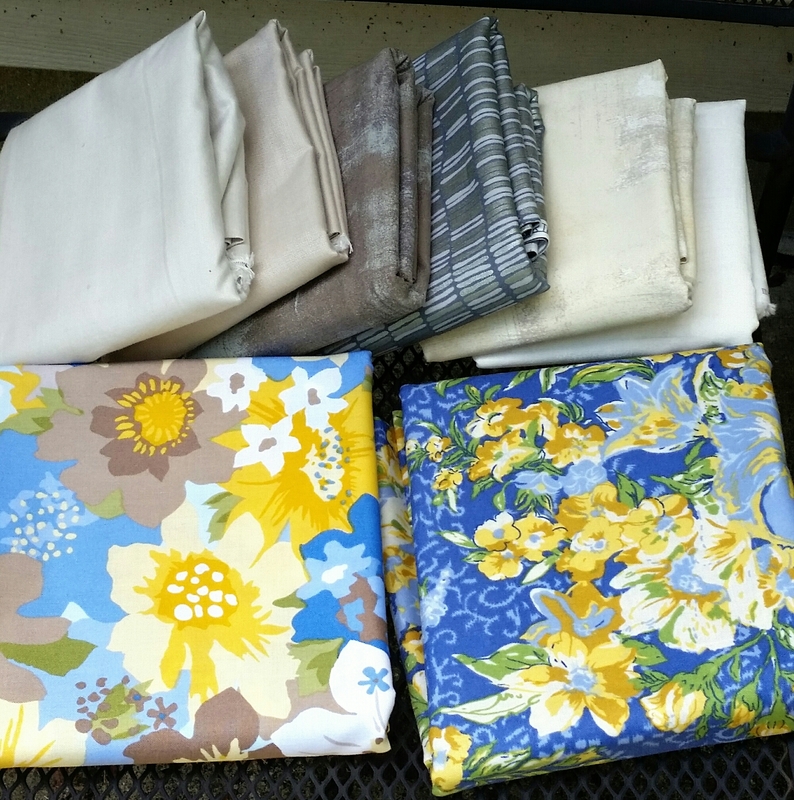 I bought some neutral Grunges and crossweaves, two florals for borders, and this very neat layer cake I had never before seen. If you don’t know the story of MSQC, be sure to read it. Quilters have truly brought this tiny town back to life, and restoration of the beautiful old buildings is continuing. They have have plans to open more fabric stores, and I’m sure more businesses will join the restaurants and gallery already there. Go visit! I’m linking up to Judy’s report at Patchwork Times. Categories: Stash | Tags: Evening in the Garden, missouri star quilt company, Valerie Root | Permalink.